This manual is the introductory-level training course for FME Desktop. On behalf of the City of Interopolis, welcome to this training course. Here is the standard legal information about this training document and the datasets used during the course. Be sure to read it, particularly if you&apos;re thinking about re-using or modifying this content. The origin of the Tutorials and any associated FME® software must not be misrepresented. Redistributions in original or modified form must include Safe Software’s copyright notice and any applicable Data Source(s) notices. You may not suggest that any modified version of the Tutorials is endorsed or approved by Safe Software Inc.
Redistributions in original or modified form must include a disclaimer similar to that below which: (a) states that the Tutorials are provided “as-is”; (b) disclaims any warranties; and (c) waives any liability claims. Safe Software Inc. makes no warranty either expressed or implied, including, but not limited to, any implied warranties of merchantability, non-infringement, or fitness for a particular purpose regarding these Tutorials, and makes such Tutorials available solely on an “as-is” basis. In no event shall Safe Software Inc. be liable to anyone for direct, indirect, special, collateral, incidental, or consequential damages in connection with or arising out of the use, modification or distribution of these Tutorials. Unless otherwise stated, the data used here originates from open data made available by the City of Vancouver, British Columbia. It contains information licensed under the Open Government License - Vancouver. Forward Sortation Areas: Statistics Canada, 2011 Census Digital Boundary Files, 2013. Reproduced and distributed on an "as is" basis with the permission of Statistics Canada. © This data includes information copied with permission from Canada Post Corporation. Stanley Park GPS Trail: Used with kind permission of VancouverTrails.com. © 2005–2016 Safe Software Inc. All rights are reserved. 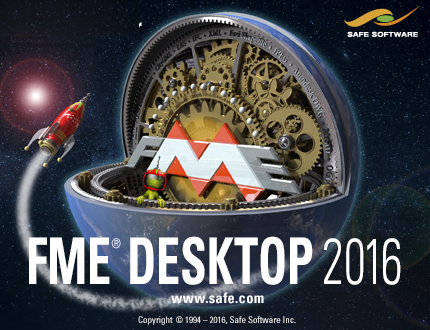 FME® is a registered trademark of Safe Software Inc. All brand or product names are trademarks or registered trademarks of their respective companies or organizations.